Evolved from nearly 40 years of empirical study and 15 years of clinical research, the Activator Methods Chiropractic Technique (AMCT) uses the latest advances in orthopedic, neurological and chiropractic examinations to seek joint dysfunction in the spinal column and extremities for improved patient care. 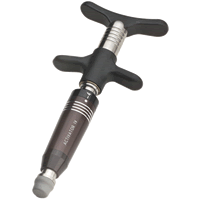 AMCT uses the Activator Adjusting Instrument to give consistent low-force, high-speed chiropractic adjustments. Over 35,000 doctors have been trained in AMCT and 2,100 doctors are Proficiency Rated, making AMCT the most widely used technique worldwide; a testament to low force patient satisfaction. Activator Methods equips capable doctors to provide high-quality patient care. Technique seminars are constantly given around the world to instruct and certify doctors as Basic or Advanced Proficiency Rated AMCT doctors. With the proficiency rating doctors automatically become part of Activator Method’s worldwide referral service, and patients can rest assured that their care will be world-class.